Jammu: Forty eco-friendly, battery-powered buses will soon be rolled out in Jammu and Kashmir as 10 of them has already reached Jammu. 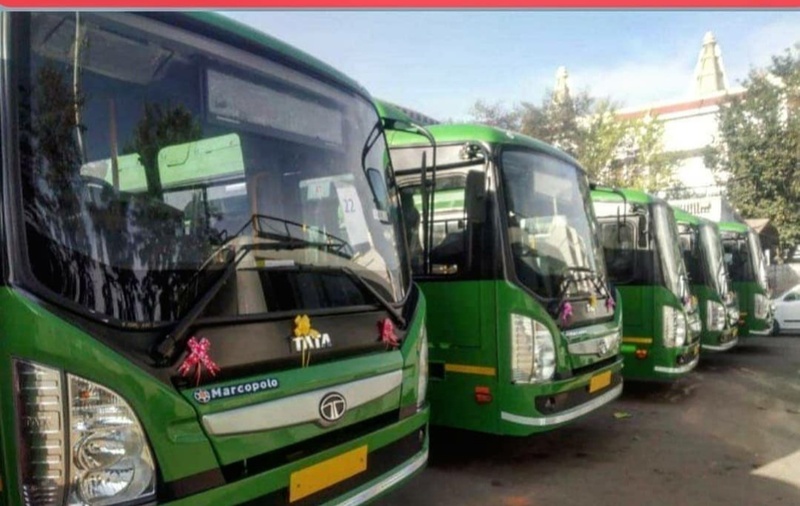 The buses with a seating capacity of 35 to 40 passengers will soon be introduced in the state, Asgar Samoon, the principal secretary of Transport Department has said while unveiling the project in August last year. “The passengers can avail them without overloading and these buses will also help us to keep the environment clean,” he had said during that meeting. Himachal Pradesh is the first state in India to start electric bus service. In India almost 7 crore people travel by bus, of this about 60 per cent are carried by state. Previous articleMike Pompeo Says US Won’t Quit Fight In Venezuela, Defends Sanctions.